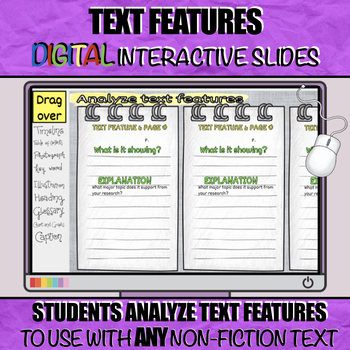 Analyze text features digitally! 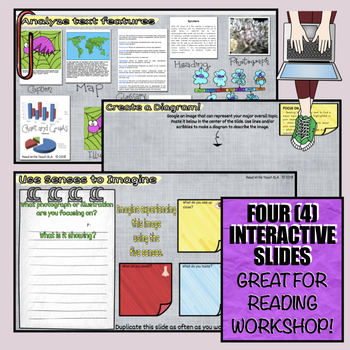 This digital/paperless product can be used with any non-fiction text. This is ideal for Reading Workshop! I used this with my Research Digital Notebooks (Tapping the Power of Non-fiction, Essay, Group Book) unit. Great for 1:1 classrooms! - Learn about different text features. - Analyze how text features extend a topic. - Use the five senses to picture images from their text. - Create diagrams based on their reading.